Come and get it baby! The final countdown has begin. Can you hear it? Are you ready? The Walking Dead: Survival Instinct from terminal Reality and Activision is exploding onto gaming platforms all over the world next week. Based on the AMC TV series The Walking Dead, SI is first-person shooter set prior to the events of the record-breaking television series. Survival Instinct follows brothers Daryl and Merle Dixon as they fight their way through throngs of the undead in a quest to reach Atlanta. 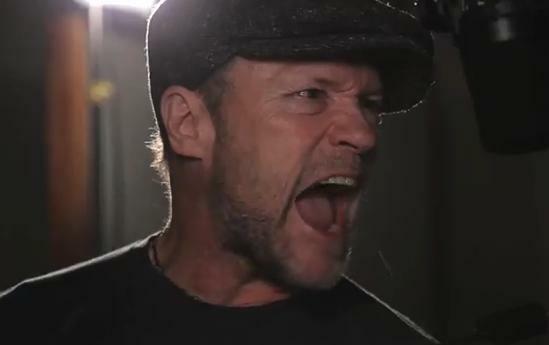 Voiceovers are nothing new for seasoned veteran Michael Rooker (Merle Dixon), whose distinctive dulcet tones have been much sought-after in many video game franchises. But for actor Norman Reedus (Daryl Dixon), the experience was a new one. In this behind the scenes video, we hear from the brothers Dixon themselves and are once again reminded that most of us are pronouncing Daryl’s name incorrectly. 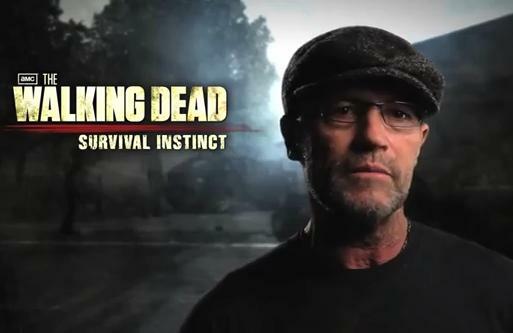 The Walking Dead: Survival Instinct is scheduled for release on March 19, 2013 in the United States, and March 22, 2013 in the UK, Europe and Australia. Look for it on Xbox 360, Wii U, PlayStation 3 and a PC Download for Microsoft Windows will also be available. Michael recently donated his trademark scribbles for items to be auctioned at a fundraiser for the CLC Disabled Student Alliance. Check out the photos and the letter of thanks from the DSA! 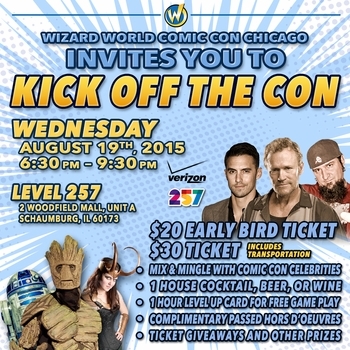 Wizard World Chicago: Kick Off the Con! Wizard World recently announced “Kick off the Con,” the first official event at Wizard World Comic Con Chicago, Wednesday, August 19, from 6:30-9:30 p.m. Previous post Michael, Ghost Man and Demon Hunter: An (un)Holy Trinity?